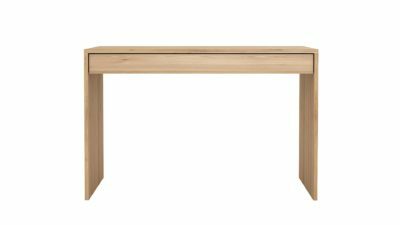 In this blog we’ll take a look at the various stylish dressing tables, stools and chairs we have available. 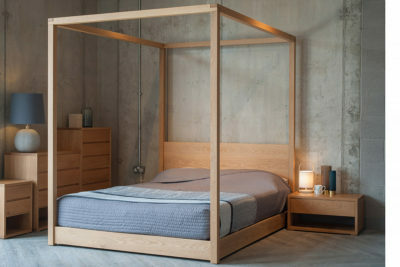 We’ll also suggest which beds and bedroom storage they best suit to create a sophisticated and coherent bedroom scheme. 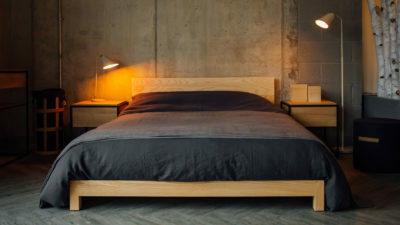 We love interior design and will take any opportunity we can to create new and inviting bedroom looks! 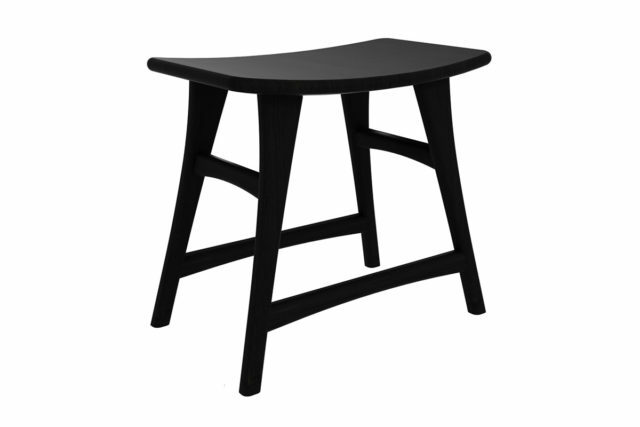 The Whitebird Table is an elegant table with two oak drawers upon a metal frame with a satin black finish. 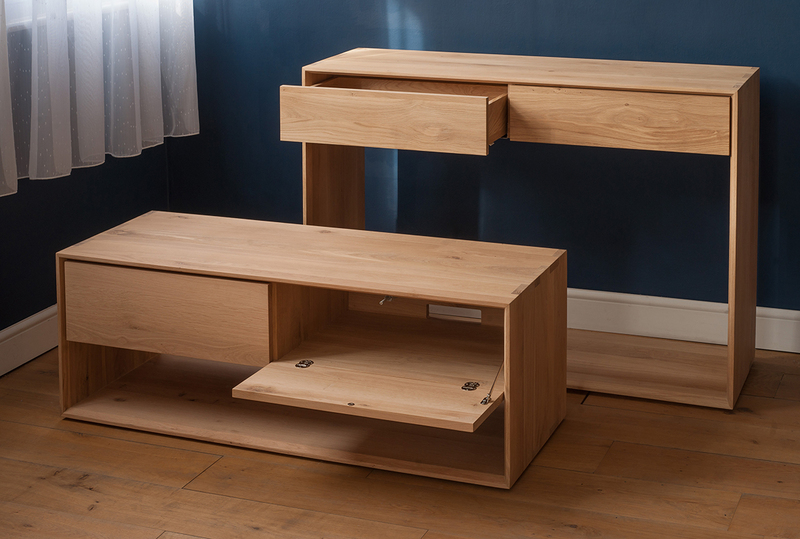 The light oak cupboard has two, slim drawers – perfect for use as a dressing table, desk or console. Designer Alain Van Havre here brings together opposing elements – combining soft round legs and bold graphic lines to create a light and airy design. 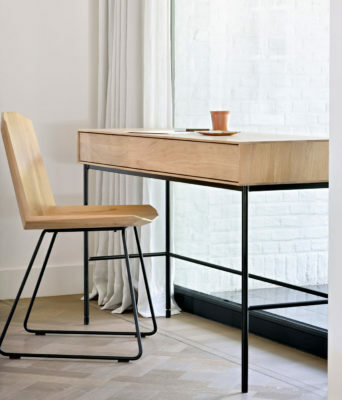 The Osso stool in natural oak looks great with the Whitebird desk – the contrast of the hand crafted curved seat with turned legs and the modern, rectilinear desk is stunning. 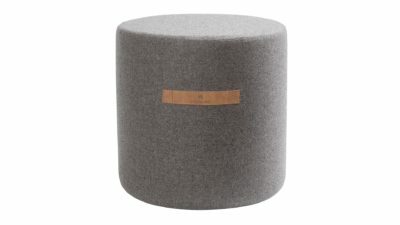 This compact but comfy stool can also be stored under the desk so it takes up no extra floor space – handy for smaller bedrooms or home-offices. 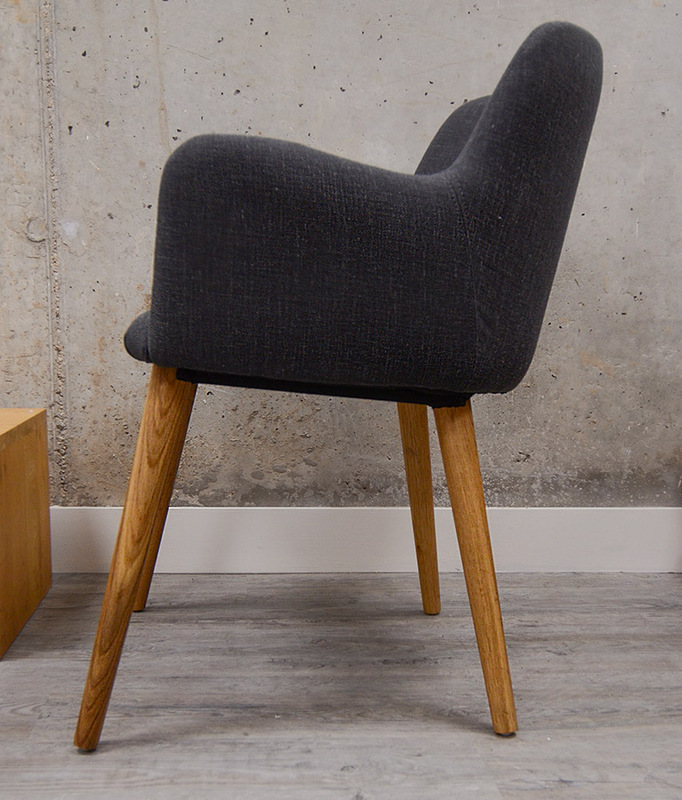 If you need a back-rest – try the Facette chair instead – it has a black metal base and a faceted oak seat. 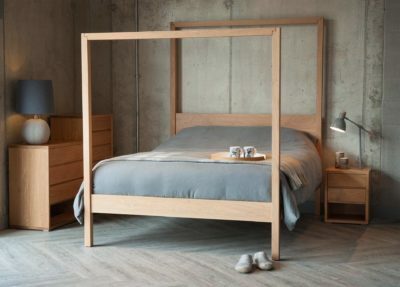 These items will look great with almost any of our oak beds or black lacquered beds – we particularly like to combine the Whitebird and Osso with one of our modern 4-poster beds. 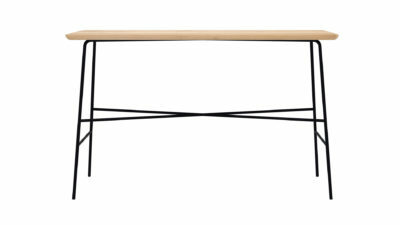 The Oasis, Orchid and Highland beds are a good choice as the light, geometric frame of the canopy references the frame of the Whitebird desk. 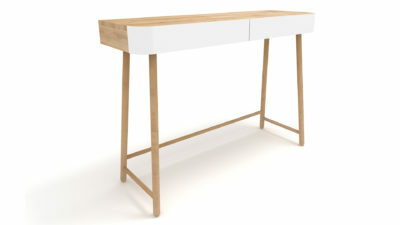 I love the Wave desk – the drawer is slim, but wide and deep – perfect for storing (and finding!) make-up and toiletries. 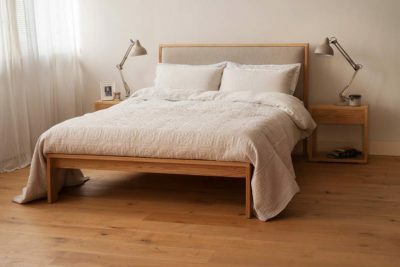 The design is minimalist so it won’t add any visual clutter to a pared back bedroom look. 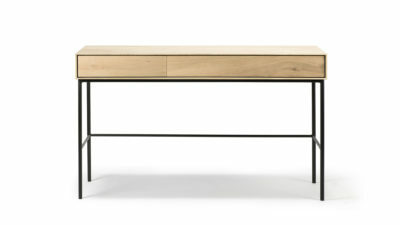 The Wave oak table features a single, wide drawer with no handle and a soft close mechanism. 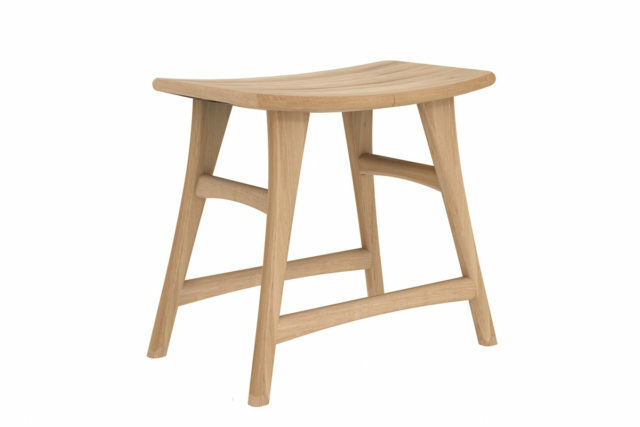 The elegant, modern design is made from solid oak and we suggest giving it a softer look by adding a soft wool covered stool. 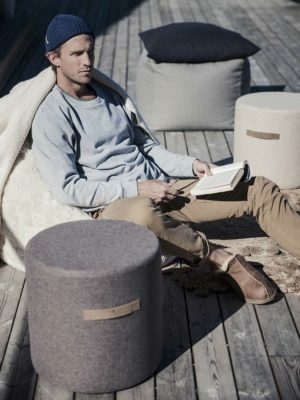 These comfy stools have a removable wool cover in Cream, Black, Granite Grey or Mocha Brown. The base is rigid while the upper part is of foam rubber resulting in a very comfortable seat. 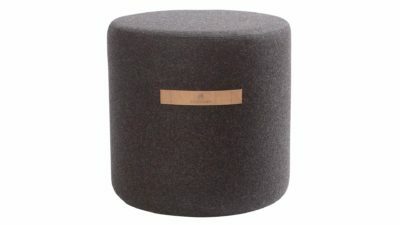 It also has a decorative handle in imitation leather, these stools are incredibly light-weight so you can easily moev them from room to room as needed. 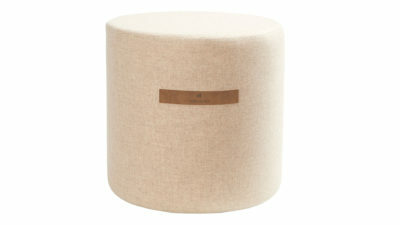 Again this stool can also be stored under the desk so it takes up no additional floor space when not in use. 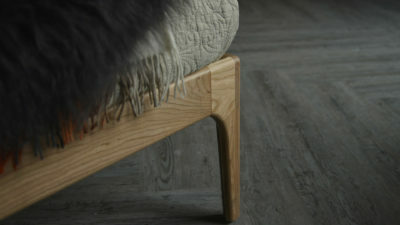 From the front the legs of the Wave desk look very slender, but they are deep and sturdy – this design detail reminds me of the Shetland bed. 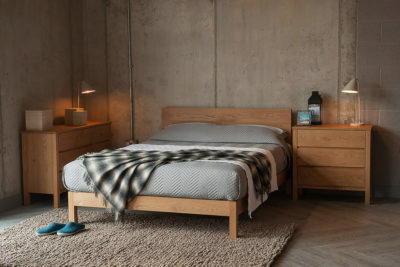 The Shetland has a comfy, padded and upholstered headboard with a frame made of deep, slender sections of solid timber for a refined, yet substantial, look. 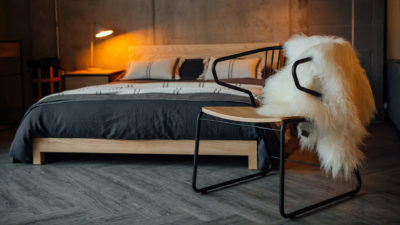 Select a fabric for the headboard to complement the fabric chosen for the wool covered stool, to bring the whole look together. 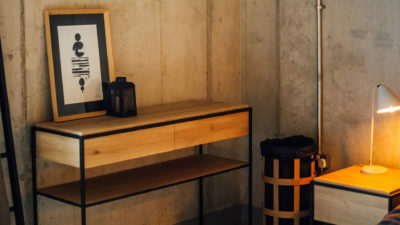 The minimalist, simplicity of the Wave desk will also work with a Japanese style bedroom – if this is the look you want then order the Kyoto bed in oak, with the Wave desk and Osso stool in oak. 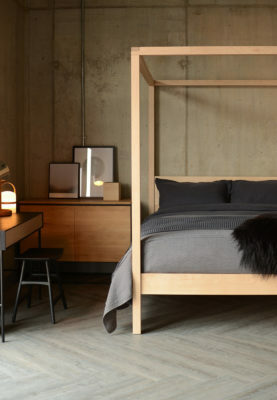 Add neutral bedding for a modern take on this look. 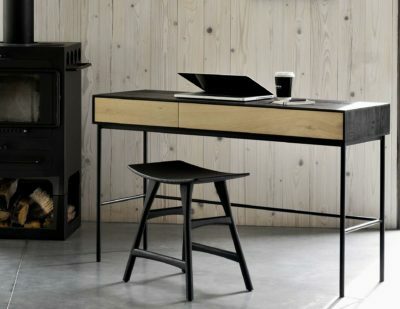 The Blackbird desk is just like the Whitebird, but with one significant difference – the oak frame around the drawers is stained black – emphasizing the bold, graphic shape. 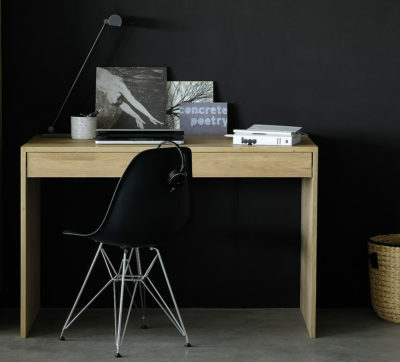 The Osso stool in oak with the black-stone finish is the perfect choice to complement this desk/dressing table. 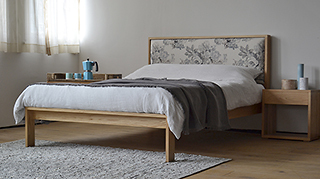 Again this combination works well with our four-posters – the Black Oak Orchid is a particularly good choice – and with the Japanese look of the Kyoto or Kumo beds. 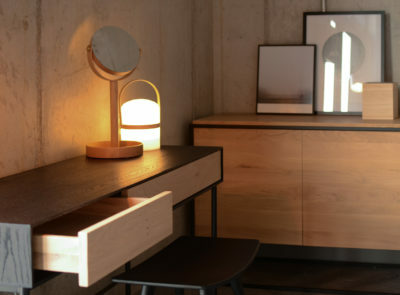 For further furniture options to work well with the Blackbird – take a look at the Monolit collection – it included cupboards, low storage units and bedside drawer units also in oak and black metal. 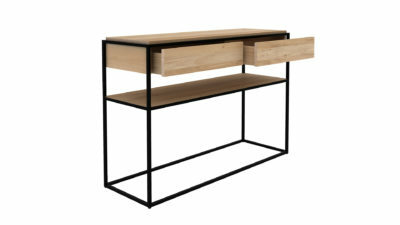 A stylish, modern console table from Ethnicraft – the Monolit console table has a lacquered metal, square section frame, the unit has two oak drawers and a lower shelf. 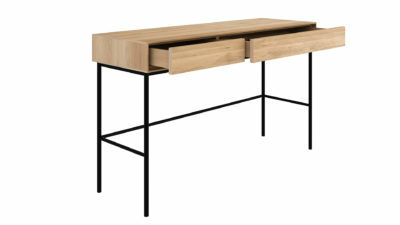 This useful console table can be used in the hallway or lounge, or as an occasional dressing table or small desk. 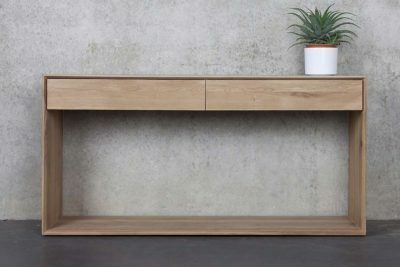 The lower shelf would prevent you from pushing a chair all the way under, but you can sit side-on to the console if you want to use it as a desk or dressing table. 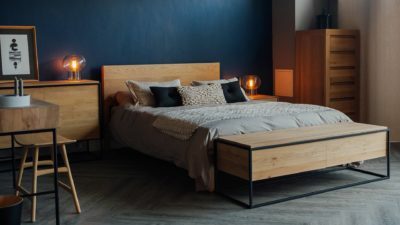 The Monolit console is a great choice for the bedroom as there is a range of other bedroom furniture in the range including cupboards, media units and bedside tables. 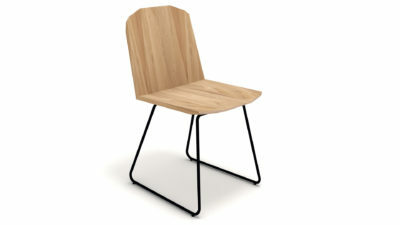 The Facette chair has an ingenious wooden structure divided into facets. This makes the seat both more comfortable and more visually striking. The idea was to create the impression of folded paper, but crafted in solid oak. 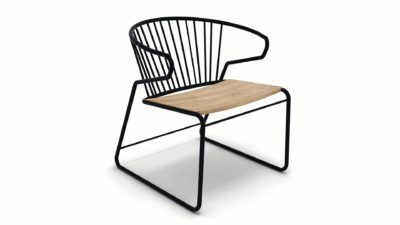 The combination of oak with a black metal frame means that this chair will work beautifully with the Monolit, Whitebird or Blackbird tables. 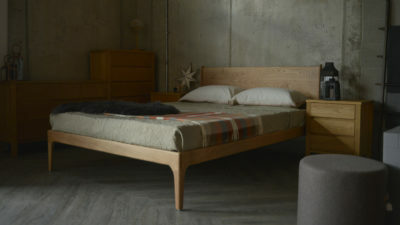 We love using Monolit furniture in our showroom as it works so well with so many of our bed designs. 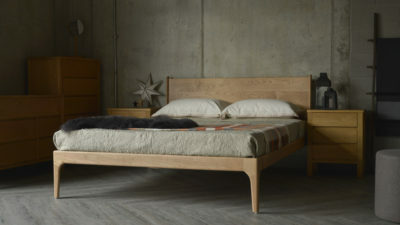 We particularly like to use it with our simple modern designs such as the Malabar bed in solid oak (available with a natural finish or stained black). The elegant rectilinear design complements the bold, geometric Monolit look. 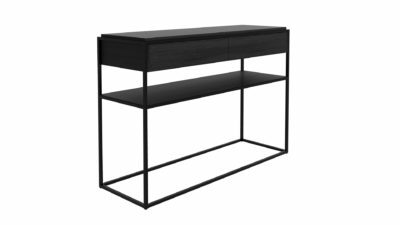 The Nordic Console Table is part of the Nordic collection of bedroom furniture which also includes a chest of drawers and low media unit. 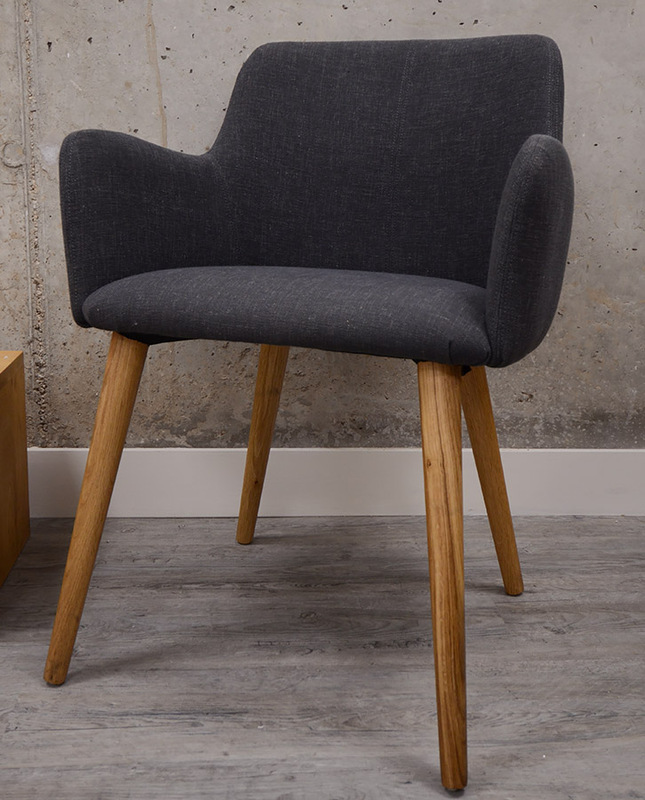 Available in two sizes in solid oak the Nordic is simple and refined. 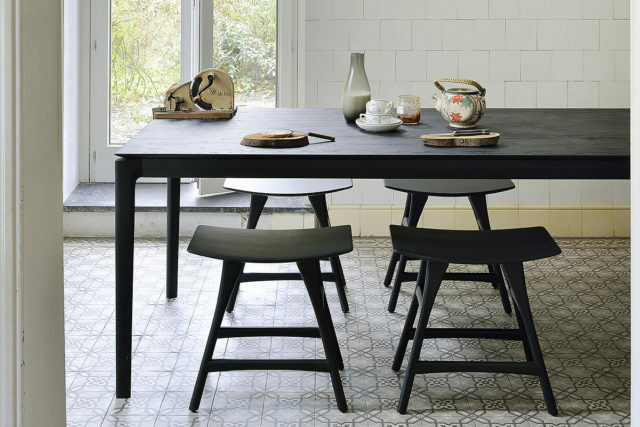 The look is pure ‘Scandinavian Modern’ which is why we particularly like to pair the Nordic console with the Swedish wool covered stools in charcoal or granite grey – they are perfect for this look, and you could store the stool on the Nordic’s lower plinth. Stylish and tidy! 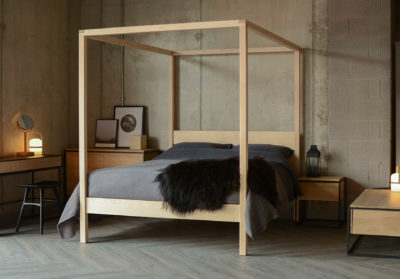 We have a range of beds that would suit this look, but we particularly like to use the Nordic console with the Oasis and Cube four posters – shown above – but the Orchid and Highland would work well too. 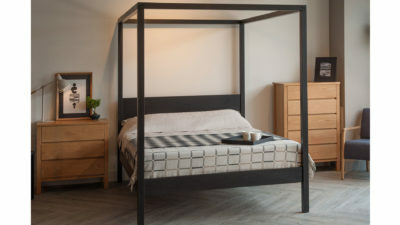 The Nordic is a classic, unfussy design just like these four posters – the strong, pared-down geometric motif is reflected in the posts and canopy elements of these beds. 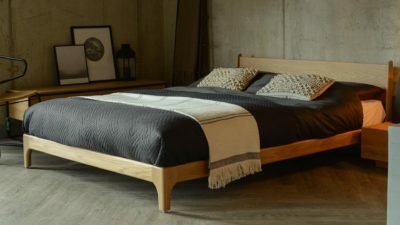 If you require a lower bed, try the modern Sonora and Kulu beds – these designs are also minimalist and contemporary. 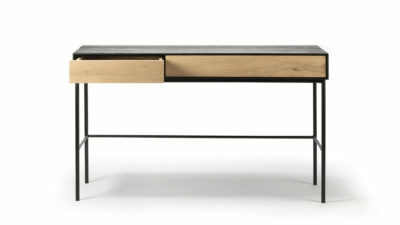 The Hall console consists of two drawers with curved metal fronts and an elegant wooden structure. Its design is very simple yet it is technically complex. 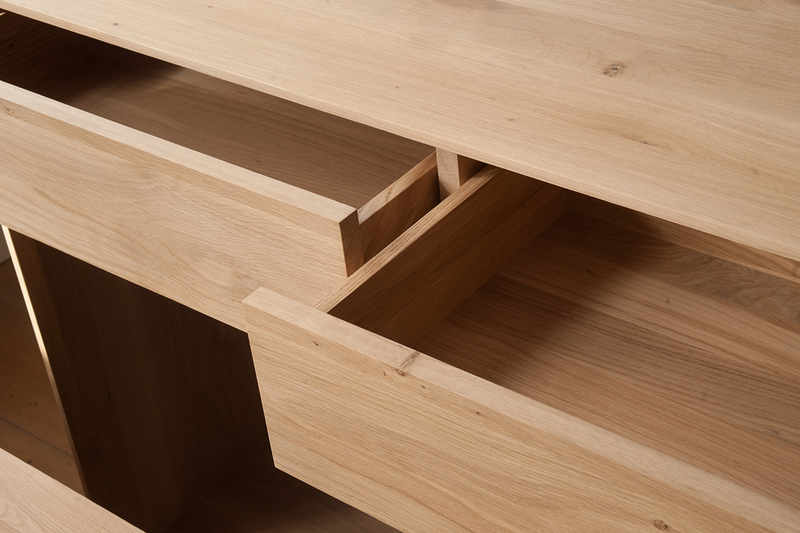 This is shown by the design of the drawers, the curving of the metal perfectly around the edges and the finish of the wooden legs. 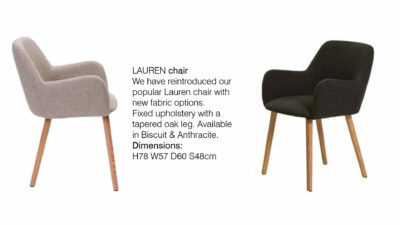 Continue with the curve motif and add a Lauren chair – the Lauren is a mid century inspired design with curved arms and turned, tapered oiled oak legs. The beds we would suggest to work with this small dressing table and chair are the Pimlico and Camden beds. 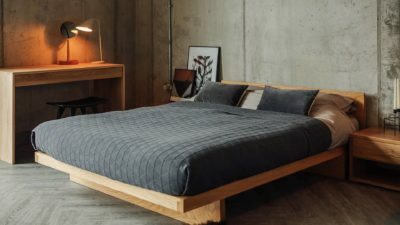 These beds have soft, curved edges and a curving detail to the legs. 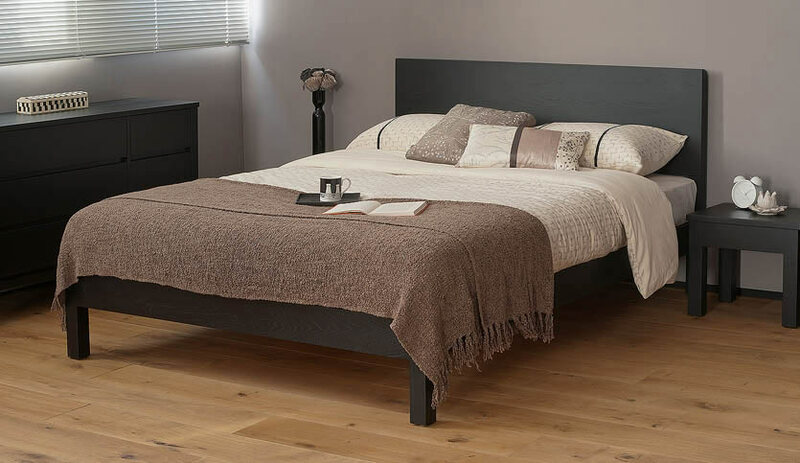 The Camden has taller legs and a taller headboard panel, the Pimlico is a lower bed – perfect for attic bedrooms or to suit lower bedroom furniture. 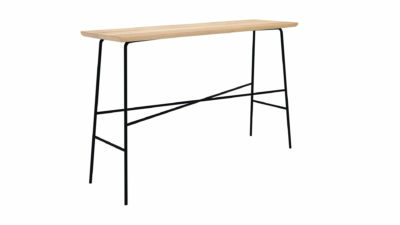 The Disc is a simple, modern console table from Ethnicraft with a black lacquered metal base and slim, solid oak top. 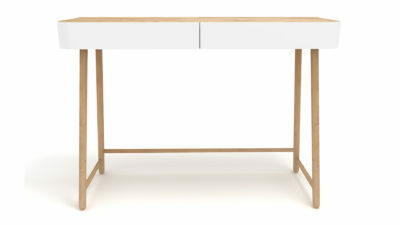 The table is 75cm in height and can be used as a dressing table, slim desk or console table. 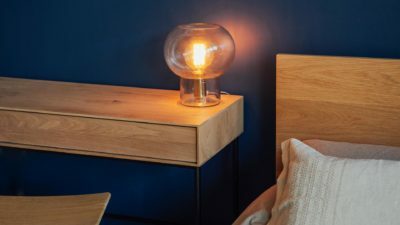 If you intend to use it as a dressing table, for yourself or in a spare bedroom, you may want to add a couple of storage boxes or a small drawer unit to house toiletries or make-up. 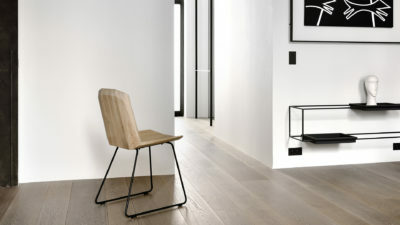 The fine metal frame on the Disc means that it works really well with either the Gabbia or Facette chairs. The Gabbia has a curvy metal base and slim spokes to the backrest – the lightness of the design works beautifully with the Disc table. 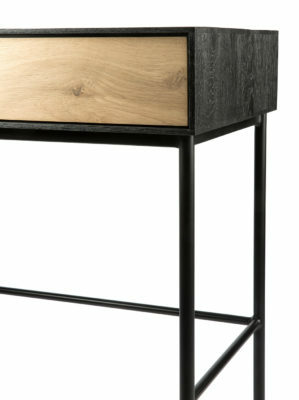 The combination of the metal frame and solid oak means that you can add Monolit or Whitebird furniture to your scheme. 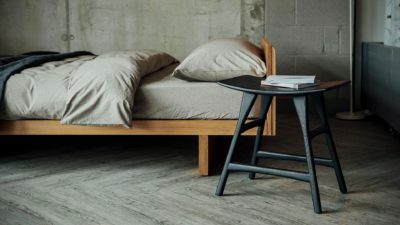 The Disc and Gabbia collection would work well with many of our beds – again the curves of the Camden would suit the curved Gabbia back-rest and disc base, while the geometric lines of the Orchid, Sonora and Malabar beds would reflcct the oak parts of the Disc and Gabbia. 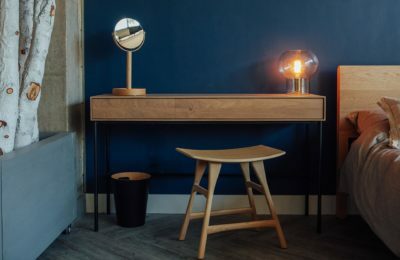 In order to use as a dressing table all of these tables would benefit from the addition of one of our Magnify mirrors and possibly a small storage caddy to keep everything neat, tidy and perfect for use.